Responsive One Page Checkout for Virtuemart 3 and Virtuemart 2 ecommerce solution. 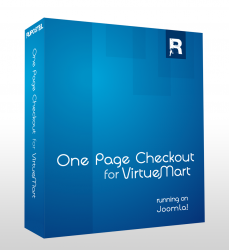 One page checkout for Virtuemart and Joomla increases your sales. Thousands of happy customers. This is true one page checkout for VirtueMart. This is a MUST HAVE for VirtueMart and makes checkout process much more comfortable and provides many features which are missing in basic VirtueMart configuration. As far as our customers say, it really raises your sales. Our company specializes on VirtueMart and Joomla modifications which make user experience better such as speed optimalization, checkout process and SEO. Our business model is based on providing complete ecommerce solutions based on VirtueMart and Joomla which we support by various marketing activities and we take provisions of sales of our hosting customers. This was the number one reason to create this component - to raise sales of our hosting customers and it was sucessfully done. We develop this component since 2008 and we provide continuous support for it every day. After sucessfull payment he will be redirected back to Virtuemart (according to return link in notify.php in your VM installation) which is usually a result page. One Page Checkout for Virtuemart uses Joomla's plugin system to load it's files and NO CORE HACK is needed. Our component supports adding products to the cart by a link from anywhere in your shop or from outside the shop, you can configure this One Page Checkout extension to delete content of the cart before adding a product from url parameters. For an example, have a look on our demo sites. This extension was firsly created for Magazine subscription where it was the only product on the site. It is particularly usefull for event registration or similarly. The link to the cart can be used from external sites if you are having a specialized marketing site. This component can send data to Google with your installed analytics account and you will be able to track customers by each order.Please note, that you have to have Ecommerce tracking enabled in your Analytics account and analytics properly installed. If you use shipping methods such as "pick up in store", or "payment on delivery", you may disable a payment methods which will not be avaiable for these shipping methods. 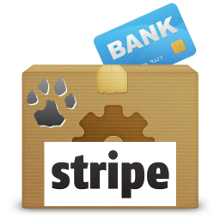 For this feature to work correctly we recommend to move shipping above payment in One Page Checkout templates. This feature works only with standard shipping shipping class. This component supports any type of Virtuemart or Joomla registration. We recommend to use silent registration with activated joomla registration and no activation necessary for new accounts. One page checkout component will also work with disabled Joomla registration. We managed to be able to register users even if they are already registered with their own email, therefore they don't need to ask for a password if they don't know it or don't remember it, but just create an order. Shoppers with duplicit email will be automatically unlogged after purchase. Onepage Checkout Component from RuposTel uses own template files where the order of checkout sections can be easily set up. By default they use your standard Virtuemart themes, but you can override any CSS style in the configurator and add it to Onepage CSS file. It also has inbuilt basket which will do the same as your basket.b2c and basket.b2b, but will show shipping and payment fees optionally. For future updates we plan to create more inbuilt templates with muti column design and much more. Our component supports all shipping methods including those that make API queries toward the provider. 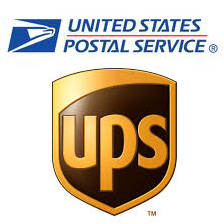 It is using AJAX to load the shipping information and draw the shipping section. If you customer has no support for AJAX, the component will load standard Virtuemart checkout.